Estate planning is the act of preparing for the transfer of a person’s wealth and assets after his or her death. Estate planning is for everybody, not just the wealthy. Without an appropriate estate plan, your family can spend a lifetime (and their life savings) battling over your assets. According to a caring.com survey, only 42 percent of U.S. adults have estate planning documents such as a will or living trust. For those with children under the age of 18, the figure is even lower, with just 36 percent having an end-of-life plan in place. Leaving your legacy behind to a charitable cause. Why do you need an Estate Planning Lawyer? Creating an estate plan is the first step to securing your family’s future. KLG is an estate planning law firm representing clients in Massachusetts and New Hampshire. Our estate planning attorneys want to ensure that you and your family have everything you need to legally protect the home, possessions, and assets you’ve amassed throughout your life. There is no one-size-fits-all method to planning your estate; there are numerous methods and tactics to protect your estate. You need to consult with the attorneys at KLG Estate Planning Attorneys to make sure that you’re making the best decisions for your unique needs. Each person’s estate is different, and attempting to approach each estate with the same brush is a mistake many other attorneys make. At KLG, we take the time to listen to your situation and your needs, and use that information to create a plan specifically designed for you. An out-of-date estate plan is an ineffective estate plan. In order for your plan to be at its best, it is essential that your plan reflect your current life – representing your current marital situation, immediate and extended family, choices of executors, beneficiaries, and other notable persons, and with a current accounting of all accounts and important assets. In addition to creating your plan, we’ll work with you through the years to keep your plan updated. You never know when things in your life will change, and the attorneys at KLG value open and frequent conversations with all clients to ensure the estate plan’s level of completion. At KLG, Estate Planning Attorneys, we are committed, diligent and knowledgeable regarding estate planning law. Contact us today to set up your free consultation, and find out how we can assist you in securing your family’s future. Remember, security begins with a plan. is looking for assurance that their property is distributed according to their wishes, that their minor children are well cared for, that their health care wishes turn into directives and that their loved ones are able to access their assets if they become incapacitated. HIPAA Release and Declaration of Homestead (if applicable). This plan provides instructions on the distribution of your property, but does not include a trust or avoid Probate Court. is looking for assurance that their property is distributed according to their wishes, that their minor children are well cared for, that their health care wishes are turned into directives, that their loved ones are able to access their assets if they become incapacitated and that their assets will be transferred privately to heirs with the most ease and convenience possible without Probate Court involvement and expense. The Trust Plan may also help save on estate taxes. Real Estate Deed and Declaration of Homestead (if applicable). All asset transfers into your trust will be handled by you with support and guidance from our office. is looking for assurance that their assets will be transferred privately to heirs with the most ease and convenience possible without Probate Court involvement and the comfort of knowing that asset transfers are handled by our office. This plan is ideal for busy individuals or families who want the asset transfers into their trust handled for them. All asset transfers into your trust will be handled by our office. Estate planning is for everyone, not just for the wealthy. 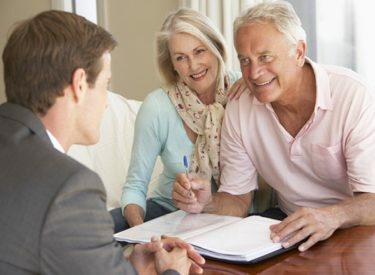 An estate plan creates an outline of intentions for your assets which can minimize disputes after your death and can help to minimize estate taxes. What constitutes your estate / assets? Personal property and belongings such as automobiles, jewelry, artwork, etc. The biggest misconception about estate planning is that you don’t need an estate plan unless you have significant assets. Many people assume that their belongings will automatically be shared amongst their loved ones after they pass away. Without an estate plan, state laws will dictate what happens upon your death or incapacitation. Thus, your estate would be distributed under the laws of intestacy and go through probate – a court supervised proceeding, which can be expensive and inefficient and may not achieve the results that are right for you or your family. What documents go into an estate plan? A last will and testament is a written legal document that states how you’d like your property and assets distributed after your death, whether it’s to charity, family and friends, or even pets. It also designates a Personal Representative who will collect all of your assets, manage your estate, and ensure your specifications are carried out as per your wishes. When you create a health care proxy, you designate a healthcare agent to make important decisions regarding your healthcare when you are unable to do so. A living will is a document that states your wishes regarding medical care in the event that you become terminally ill or incapacitated. A power of attorney is a document that allows you to designate someone to manage the affairs of your estate, including financial decisions, if you are unable to manage them yourself. Each trust has a settlor (person who creates the trust), a trustee (person in charge of trust assets) and a beneficiary (person who benefits). With a revocable trust, the settlor transfers assets to the trust, the trustee manages them, and the beneficiary eventually inherits them. A HIPAA Release is a document that allows you to designate someone who will be able to request and obtain your medical records. A Declaration of Homestead can help protect your home from claims of unsecured creditors. How do you determine what type of estate plan a person needs? Every estate plan begins with a consultation. We meet with our clients and have an in-depth conversation with them about their life, marital status, family dynamic, assets and goals for their estate plan. Using that information, we can determine the package that would best suit their family’s needs. We have different estate plan packages available of varying levels: Simple Estate Plan, Trust Plan, and Trust Plus Plan. 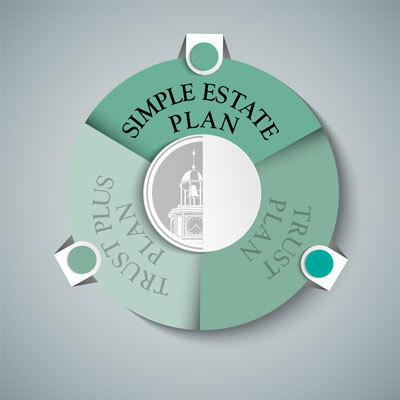 Simple Estate Plan: Built for the individual or family looking for the core estate planning documents to ensure that their property is distributed and that decisions regarding medical care are made according to their wishes. 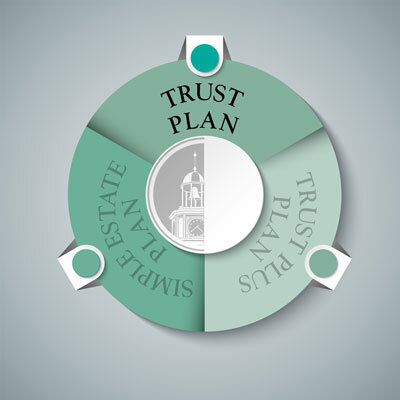 Trust Plan: Built on the simple estate plan, but includes a trust or trusts which transfer assets to heirs with the most ease and convenience possible without involving the Probate Court. 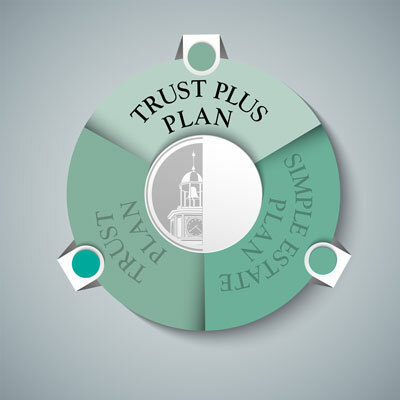 Trust Plus Plan: Built on the trust plan for individuals and families looking for the full-service package and to have their assets transferred into their trust by our office. This option is perfect for families that want to invest a minimum of time and effort in their transfer. Why Choose KLG Estate Planning & Probate Attorneys? KLG Estate Planning & Probate Attorneys has a unique history: the firm was born from one of Boston’s most successful personal injury law firms, Kiley Law Group. The attorneys have over 60 years of combined experience of obtaining successful results for clients. From protecting the rights of the injured to helping provide for the security and protection of their families through estate planning seemed like a natural next step for the firm. Thomas Kiley, Sr., Thomas Kiley, Jr., and Carah Kiley have proven track records of superior results for their clients and take pride in providing quality and client-focused estate planning. They ensure that your estate planning objectives are met and that you have the information to explain your estate plan to your loved ones. Our prices are reasonable and our attention to detail in designing and implementing your estate plan is unmatched. We work with you to not only create your estate plan, but to update it along the way as things change in your life. We also work with your heirs to transition your assets according to your wishes. Security begins with a plan, and the best plan begins with KLG Estate Planning & Probate Attorneys. During your first appointment, you should expect to meet with a kind and knowledgeable attorney who is ready to advise you and help you protect your cherished assets. After getting to know each other, we discuss the dangers of not creating an estate plan, clearly addressing the “what ifs” and identifying the risks your family could face without having a plan in place. From there, we listen to your goals and objectives and assist you in deciding what plan works best for you. We’ll further discuss the process and the documents you would need, providing pricing and the timeframe for completion. What should I bring with me to start my estate plan? Prior to your appointment, we’ll send you a package of information for you to review. Included in the package is a questionnaire that will help you detail and inventory your assets. We ask that you complete this questionnaire and provide it to us prior to your appointment so we have an opportunity to review beforehand. Next, we ask that you start to gather your most recent statements from bank accounts, investment accounts, deeds to all property (in state or out of state), life insurance policy information, business information (if you’re a business owner), and retirement plan statements. This is just a starting point and we understand if you’re unable to find everything. Please keep all documents in the folder that came with your packet and bring it with you to your appointment. KLG Estate Planning & Probate Attorneys accepts checks (personal or business) and credit cards (Visa, MasterCard, and American Express). I already have an estate plan. Do I need to create a new one? You may not need to create an entirely new estate plan, but you may need to update your existing plan. A plan that’s out of date can be an ineffective plan, and an ineffective plan is nearly equivalent to not having one. If there have been any changes in your life, financially or personally, that are not reflected in your plan, it’s essential that you speak with us to bring your plan up to date. To begin your relationship with KLG Estate Planning & Probate Attorneys, simply fill out the contact form to schedule your FREE consultation.